Most of the Vending Machine Controllers supplied by JCA Systems are customised for specific machines, or ranges of machines. 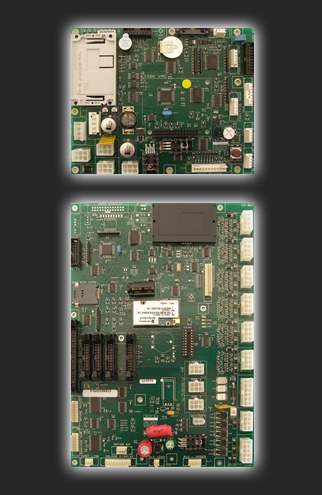 The pictures below illustrate a couple of the VMC’s we have designed and produced. We have a large number of hardware and software modules available that we can cut and paste together to produce new VMC designs. Depending on the complexity of the application we are able to produce first prototypes in 6 - 8 weeks, however we have exceptionally produced a first production batch of 100 boards in under 5 weeks! Email us with your specification or requirements for a quotation. We have a checklist that can help you specify your VMC. • Fast reporting of alarm conditions, e.g. Cashbox removal, door opened etc. Please email us if you have specific audit requirements. Use low cost standard relay / open collector output payment devices (coin, bill or card) to generate credit in a MDB vending machine. Operate standard MDB Coin Changegiver, Bill/Note readers, Card readers and satellite vending machines from a PC with this adapter. 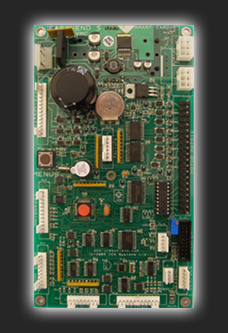 Operates in the Vending Machine as a Card Reader, but controllable via RS232. Use lower cost 12v DC Bill / Note Readers in a MDB machine with this interface. Use with Astrosystems, JCM, Lumina, Smiley etc. Allows the MDB traffic in a vending machine to be monitored. Filter switches can isolate specific peripherals. 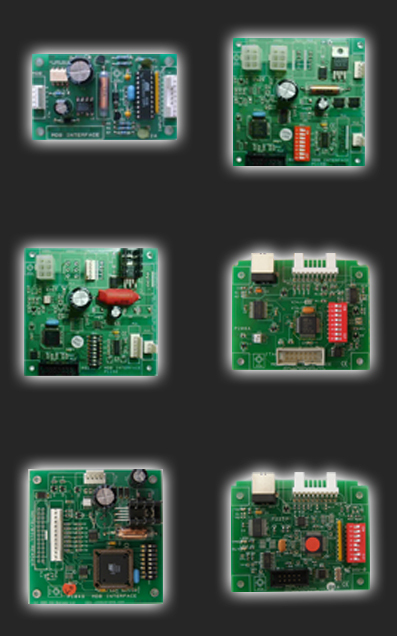 We have also produced a number of custom interfaces, keyboards, displays and other items.